So for those of you that follow me on twitter and facebook, you will know that I was 1 of 5 lucky people chosen to test the new Graco Evo Mini pushchair. 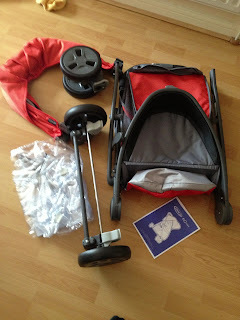 The pushchair arrived on Friday afternoon and it was quickly removed from it's packaging and set up. It was very easy to set up, simply clicking the wheels and hood into place and a couple of poppers to do up on the hood and basket. It was all clearly illustrated in the instruction booklet, so took all of 5 minutes to piece together. Once put together, I was pleasantly surprised at how spacious it was, yet still remaining lightweight. With a lovely padded seat and a simple toggle cord for reclining on the back, meaning that it virtually lied flat, I could see how someone could use this pushchair from birth. 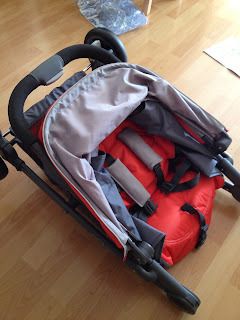 The adjustable straps means that it suitable right up until your child is around three years old, although I must admit I found it a bit fiddly changing the height of the straps through the seat padding, what is it they say, "practice makes perfect". The basket is a decent size, normally strollers have small or inaccesible baskets but this one is ideal for school bags or maybe some shopping. One of the Evo Mini's main features is it's one hand folding system. It is a simple process, there is a big button in the centre of the handle with a small button on the left hand side of the big button. You just pull the small button to the right with your thumb as you push up on the big button with the rest of your hand and push the handle forward. It literally folds in half, making it a very compact fold. My 3 year old couldn't wait to sit in "her" new pushchair, infact once sat in it, she remained in it for the afternoon whilst watching the TV, a good way to test it I thought. As first impressions go, the Graco Evo Mini certainly made a good one with me. 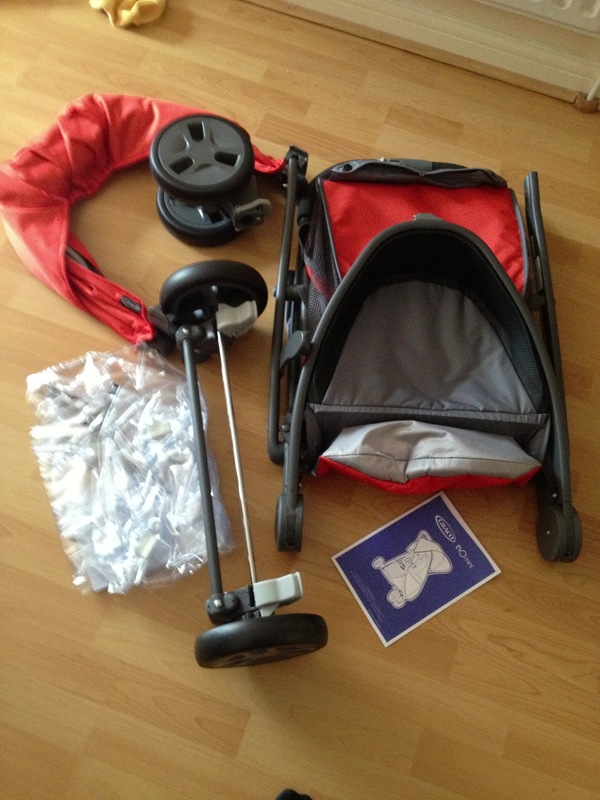 I made a little YouTube video, just to show the pushchair in a bit more detail. 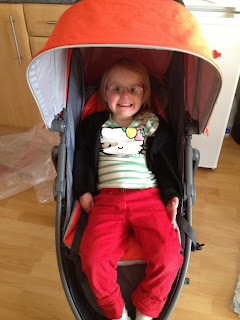 I am looking forward to taking the pushchair out for a spin and seeing how my mini testers find the ride. Watch this space for more updates, where might the Graco Evo mini visit? ?